traverselife: An A to Z of Climate Matters. An A to Z of Climate Matters. April 2012. An A-Z of Climate Matters. 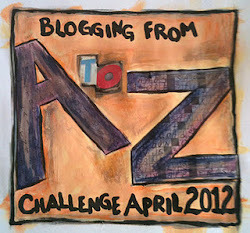 There is a link in the sidebar to the A-Z blogging challenge hosted by Arlee Bird and his wonderful team. A is for Advertising - a brief look at the methods media, vested interests and the advertising industry use to sway opinion regarding climate change rather than to share facts. B is for Biodiversity - why it's important for our very survival on earth. C is for Change - how we often resist it, fear it and avoid it, but how we also need to face it head on if we're to negotiate climate change and energy depletion with hope and confidence. D is for Desertification - what can happen to lands which are overgrazed, and have every natural living thing removed for the planting of mono crops. E is for Eat - what we choose to eat, how much, how often and where it's imported from has major implications for food security. Farting cows make their appearance here. F is for Fracking - a method of extracting fossil fuels from deep under the earth. G is for Greenhouse - the gasses which we're emitting into the atmosphere at such a rapid rate aren't healthy and are contributing to a toxic blend of chemicals which will last many hundreds of years. We don't breathe these easily, nor do animals. Trees that normally absorb carbon-dioxide aren't keeping up with our emissions. H is for Health - Our mental and physical health is intricately tied with our climate. Increasingly frequent and severe weather events such as fire, drought and flood have impacts on everyone involved. I is for Insects - We need them! Without creepy crawlies and bees, humankind is unlikely to survive. Toxic chemicals used on crops as pesticides kill not only "pests" but helpful critters too. J is for Jellyfish - these can survive and thrive in ocean areas which have been overfished. K is for Kilter - as in Our climate is out of kilter and so are some of our lifestyle choices. L is for Leadership - innovative, farsighted, visionary, leaders are rare and need to be encouraged and celebrated. M is for Mangroves - mangroves are the most interesting trees! They're salt tolerant meaning they can grow in sea water, and can deal with more carbon than any other tree. N is for Notice - notice how you can make energy savings in your home AND save money! O is for Oil - such a recent discovery and one which has infiltrated almost all our lives. In fact it's probably fair to say we're addicted to it and as with any addiction, breaking it could be a bit of a challenge. but it will run out, so perhaps it's not a bad idea to have a "Plan B". P is for Plastics and Pollution - plastics are a wonderful invention, and a byproduct of oil. They're extremely handy for all sorts of things. Unfortunately products are often discarded thoughtlessly and add to the increasing problem of pollution. R is for Responsibility - hyper-consumption has an impact on using fossil fuels and therefore our climate. S is for Soil - you don't have to get down and dirty to appreciate how necessary healthy soil is! Healthy soil = healthy plants. Healthy plants = healthy us. T is for Trees - tall, majestic and leafy or stunted and straggly. No matter what they look like, trees are vital to maintain a breathable atmosphere, to stabilise soil and to assist with biodiversity. U is for Urban heat island - cities absorb heat so people to use more air-conditioning. Greening our cities creates cooler, healthier lifestyles. V is for Values - values underpin much of what we do and give our lives meaning. When people are out of touch with their values, their lives can lack direction and be unhappy and empty. W is for Water - Water wars. Water disputes. Country against country, region against region. Farming, people, mining, all demanding more of this increasingly polluted vital resource. X is for eXtreme weather - did it really take me this long to discuss weather? Y is for Yesterday - sing the words from The Beatles song "Yesterday" to get a sense of this letter. Z is for Zero - Zero population growth - improved quality of life for mums, children, families and communities. Enough food and water to go around. Equity and balance. So easy, yet so hard for many to accept the need for reliable modern contraception. Thanks for sharing this informative content. More power to you. Hi Sue ... excellent summary - well done and I'm delighted you've done this post. Each of the posts was really thought provoking .. and I do hope we can work it out, and the world will help itself .. as I said earlier - it will survive, whether we will is another matter ..
Part 2: Discussion of the 2014 Coalition budget. A Christian perspective. Part 1. Discussion of the 2014 Coalition budget - a Christian perspective. The Little Red Hen. A tale for modern times. 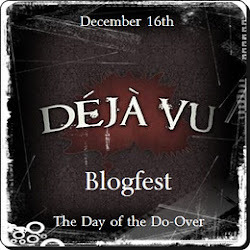 Is a great author a friend or foe? 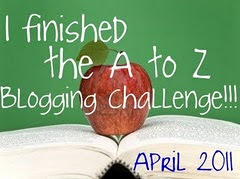 A-Z April blogging challenge reflections post. Budget, schmudget - we'll be in surplus! Copyright: borrowing is fine, but please let me know, and give credit.. Picture Window theme. Powered by Blogger.